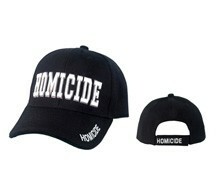 Homicide embroidered baseball cap with adjustable velcro strap. 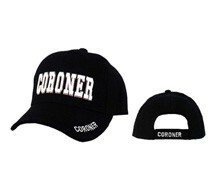 Coroner embroidered baseball cap with adjustable velcro strap. DEA embroidered baseball cap with adjustable velcro strap.